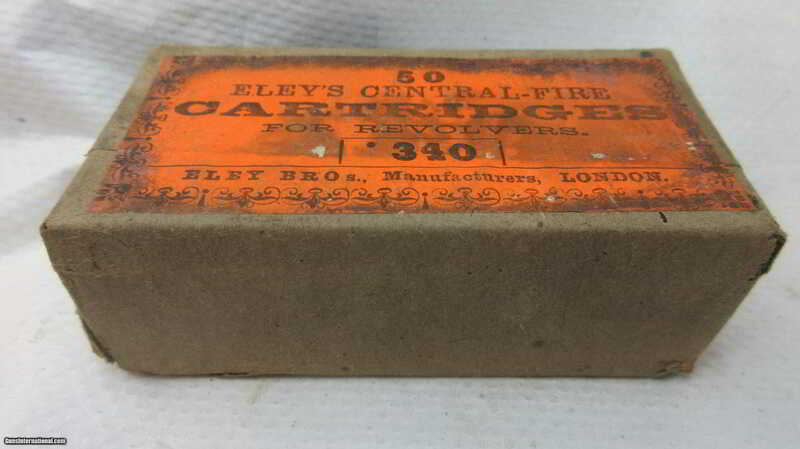 A very nice, sealed two piece English tin of "50 Eleys' .340 Caliber Central Fire Cartridges for Revolvers". 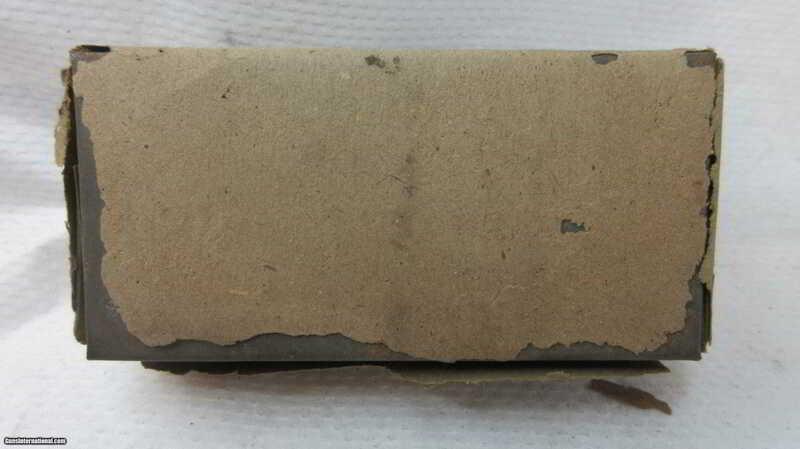 Has the original factory paper wrapping over the metal tin. 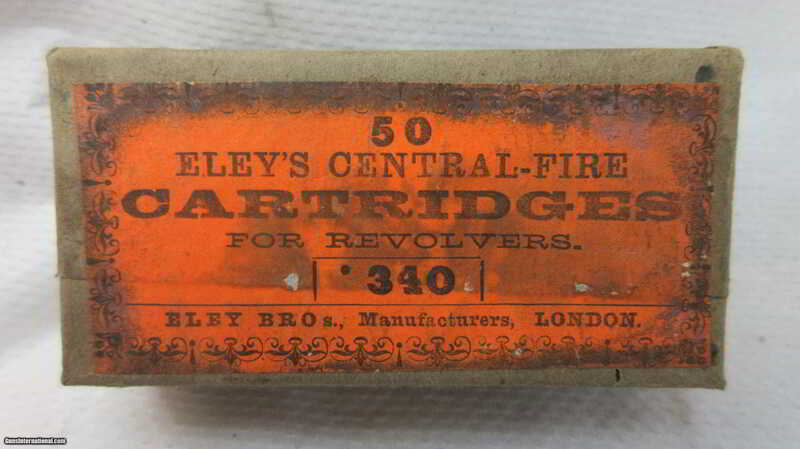 Bright label with the London address.